A link to "Manage Connection Pro online" will be sent via email. Your link to 'Manage Connection Pro online' has been sent! Connection Pro is an ancillary service for Business Internet customers who require uninterrupted Internet connectivity. Access the Connection Pro Portal through My Account to view broadband status, backup system health and usage reports. Sign in to My Account and select Internet from the Services menu. On the Connection Pro Status page, view the status of your Comcast broadband connection, the status of the cellular connection and the amount of cellular data used when your broadband connection failed. Select the Expand icon to view more details in each section. 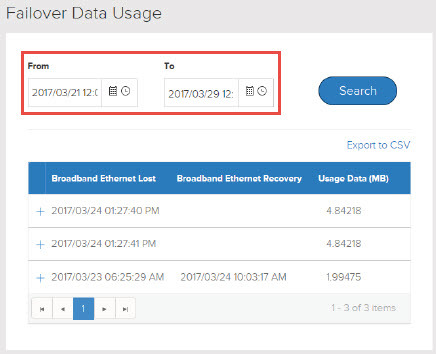 On the Connection Pro Status page, expand the Reports section and select Failover Data Usage. Select a date range and select Search. Select Export to CSV to export the report. Utilize these simple troubleshooting recommendations to resolve Comcast Business Internet issues. Business Internet customers can get the security of Norton security software with their service. Comcast Business User Guides help you get the most out of your Comcast Business services.